Islay single malt Laphroaig has added a new no age statement (NAS) single malt to its range – Laphroaig Lore, described as ‘the richest of the rich’. The new expression, bottled at 48% abv and available from 18 March with a UK RRP of £75, aims to celebrate the cult Islay distillery’s 200 years of whisky-making knowledge and tradition. 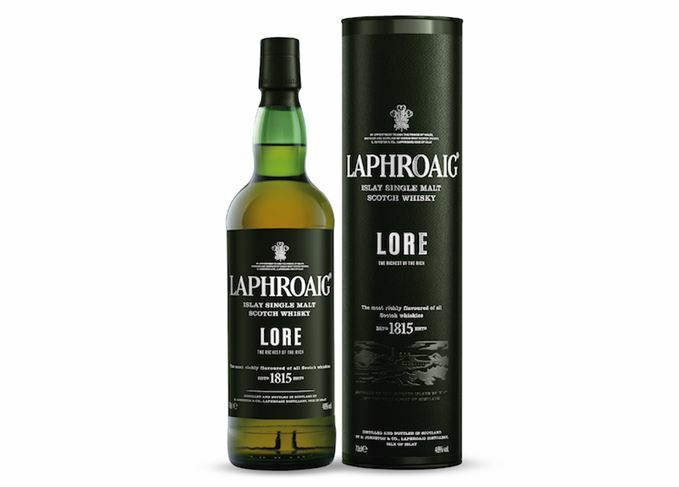 Laphroaig Lore includes whiskies matured in a variety of cask types, including first-fill Bourbon barrels, quarter casks and Oloroso Sherry hogsheads, and has been created by Laphroaig distillery manager John Campbell. ‘It’s a massive whisky, as bold as it is deep, and one that I sincerely hope does justice to the many generations of Laphroaig distillery managers,’ said Campbell. He added: ‘Over the generations, distillery managers like me have made their own contributions to the quality and character of Laphroaig. Laphroaig Lore will be available in Germany, the UK, south-east Asia, the US, Canada and Nordic countries. The search is on to find the most creative, humorous and honest views about the whisky brand. Let your creativity ‘run riot’ for the chance to have your Tweet projected on the distillery’s wall. Dave Broom joins the laid-back Laphroaig lovers – and some distillery legends – on a sun-filled day. The life of a Laphroaig lover – and the difficulties of building such a huge collection today.